This lid can fit almost all bottles except the megaTANKA bottle. The Poly Loop lid was designed to have a simpler look with a range of different features. This lid fits to the bottle for simple seal and carrying purpose. You would need to drink directly from the bottle or pour your liquid into a cup. The lid is simple to fit and it will not leak once fitted correctly. - The lid is totally enclosed and insulation is added to the inside. 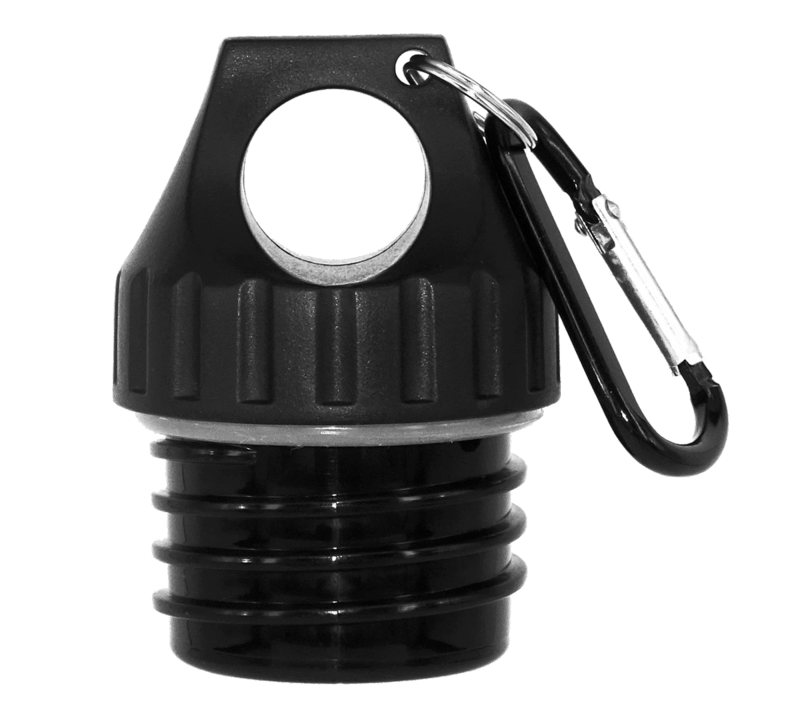 - The hole in the lid allows you to hold the bottle and lid with one finger. 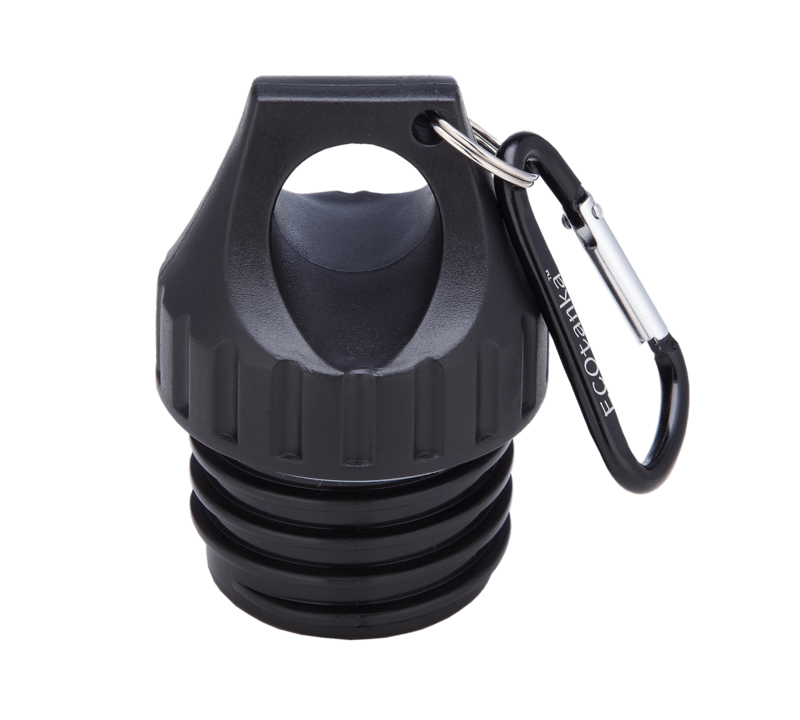 - The carabineer aliows you to attach your stuff to your bottle or your bottle to your stuff. - Easy clean, no small areas or moving parts. - All parts are replaceable and the raw materials are from Germany, China, Japan or Singapore. ECOtanka provides a replacement pack for keeping your lid in action. The pack has a new silicone seal and a carabineer with ring. 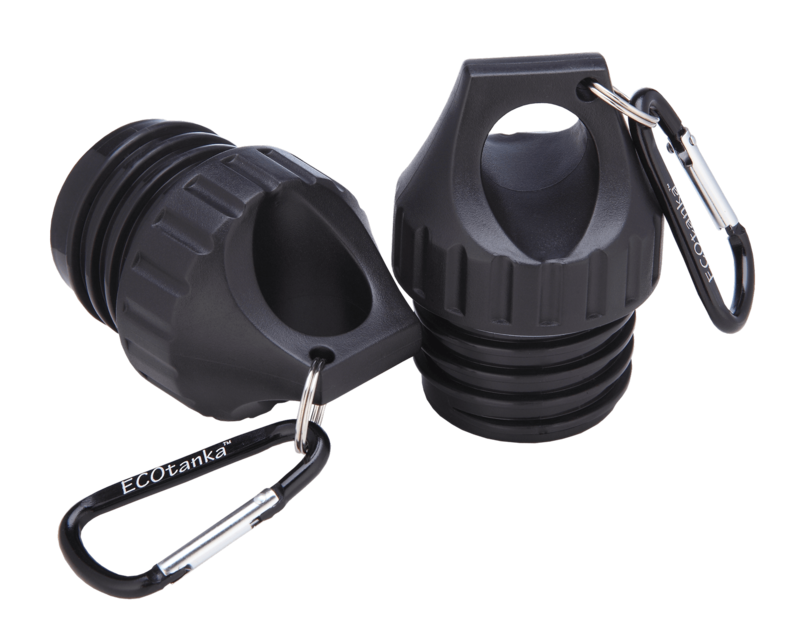 The ECOtanka Poly Loop Lid is made from PP#5 (Polypropylene) and is strong, tough, also has a high resistance to heat. - The main outer body parts are made from PP#5 (Polypropylene) but is of a special and expensive type which makes the lid 20x stronger. Origin: Japan or Singapore. - The silicone seal for the cap and the main body is of a high-quality food-grade silicone. Origin: Germany. - The insulation is polystyrene foam on the inside to help keep your drink hotter or colder. Origin: China. - Ring and carabineer are made from steel and aluminium. Origin: China. This lid is BPA, BPS, BPF FREE, also free from Antimony (sb), DEHA, DEHP & Phthalate. ECOtanka Poly Loop lid is a very easy care lid, simply wash and rinse well the same as for your dishes. This lid does need some extra care and should not be put in a dishwasher. Due to the 2 part lid design and the inner insulation this lid cannot be submerged under water. through our global "Where to Buy" directory system.